Currently looking for employment as a writer/editor in the food/drinks/lifestyle space. Would also move to wine country for a cool job. Check out my Linkedin profile and see a curated portfolio of my work on Contently. I moved all the way from Seattle to New York to become Senior Editor at Wine Enthusiast. I was also Senior Digital Editor. I’ve written a couple personal essays for the magazine, the “Last Drop” on the final page of each issue. The first is “Flying Blind While Tasting Wine.” It’s all about anxiety. I also have opinions about wine things on The Thuse. 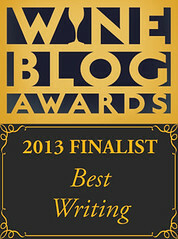 Two other print pieces you can read online are my defense of (1) oaky white wines and (2) the Champagne flute. Wondering what it’s like to live on a family farm and cidery in the dead of winter? I wrote about that, too. Prior to that I was Drinks Editor at msn.com. 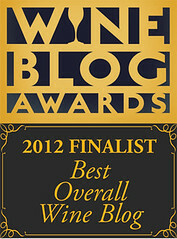 Peruse my nearly five years of work as Wine Editor for Foodista.com. 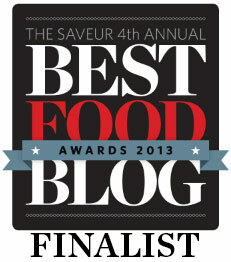 2013 Saveur Best Food Blog Awards finalist in the Wine or Beer Blog Category? 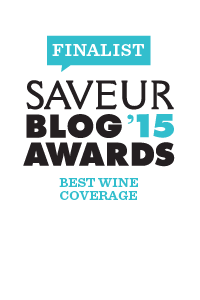 And 2015 finalist for Best Wine Coverage? Yes and yes. IFBC Wine Pairing with Jameson Fink from Idea Farmer on Vimeo. 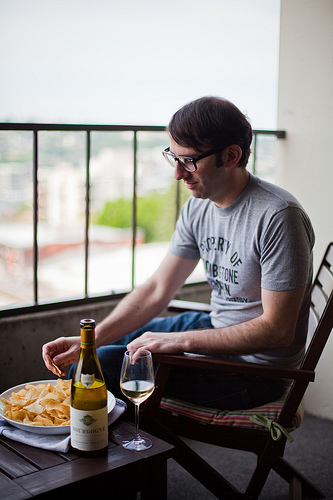 Wine Without Worry: The Podcast. Don’t miss an episode! I have ten years of experience in the retail wine business. My decade in Seattle was spent entirely on Capitol Hill. Find out 17 Things I’ll Miss About Seattle. I love v-neck sweaters, though recently I’ve leaned more crew neck.